Here is a printable, fun Place Value Game that the kids can play if they are working with place value of 3 digit and 4 digit numbers. The game is for 2 (or more) players. Each player needs his/her own numbers and game board. In my printable, I have included the color version and a black and white version plus complete instructions. I would recommend printing the game on photo paper or card stock for durability. I hope the kids will be able to play the game this summer (or anytime) to practice their math skills and prevent that awful "summer brain drain". The game can be downloaded from my website (Learning Workroom). Just click on the link below then go to Free Worksheets. Kids love games and it makes learning so much fun! Here's an Addition Concentration Game with Doubles from 0+0 to 9+9 that I just finished making and posting. 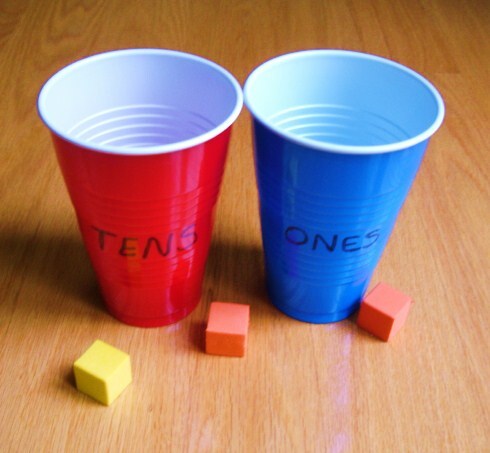 Playing the game will help children develop fluency with their very important math facts. I love the new clipart that I just purchased from KPM Doodles! I think the kids will like it too! You can download the worksheet from my website. 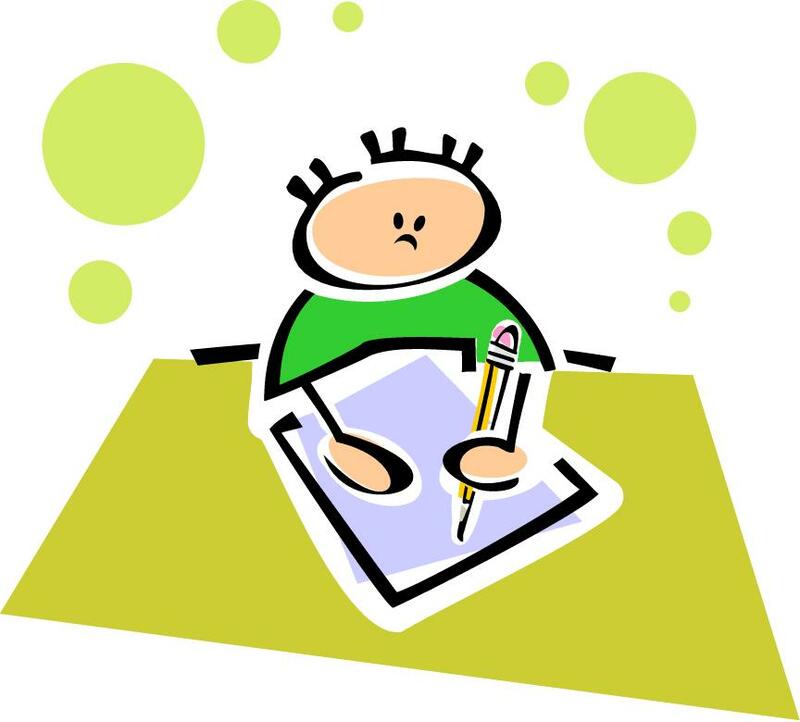 Just click on the link below and go to my Free Worksheets page. 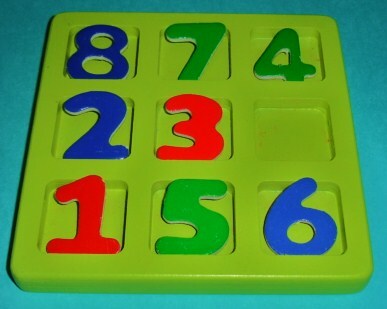 Here's a fun little math game to reinforce PLACE VALUE and the base-ten number system. The students will also COMPARE whole numbers and use TALLY MARKS. You will just need a few inexpensive objects. Label the other cup "ONES". Place the cups on the floor (tens on the left). He/she tries to toss 9 foam shapes into the cups. He/she then counts out the shapes in the cups and announces his/her numbers. Example: "4 tens and 2 ones = 42"
Now player #2 has a turn. The player with the greater number gets 1 point. The players continue playing for a total of 10 rounds. The player with the most tallies is the winner. I purchased the foam shapes at a Dollar Store. 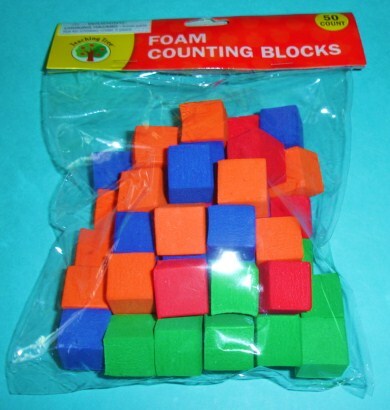 A bag of 50 foam cubes cost $1.00. An added benefit of the foam cubes is that they are nice and quiet when tossed!!! Here's a fun little MATH GAME for kids to play to help them practice their Addition and Subtraction Facts. Player 1 turns a paper plate upside down. 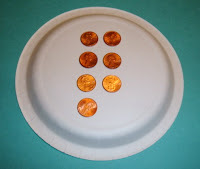 He/she 'hides' some of the 10 pennies under the plate and puts the remainder of the pennies on top of the plate. Player 2 counts the pennies on top of the plate and has to calculate the number of pennies under the plate. If correct Player 2 gets one point. Then the players reverse rolls. Player 2 'hides' some of the pennies under the plate and puts the remainder of pennies on top of the plate. 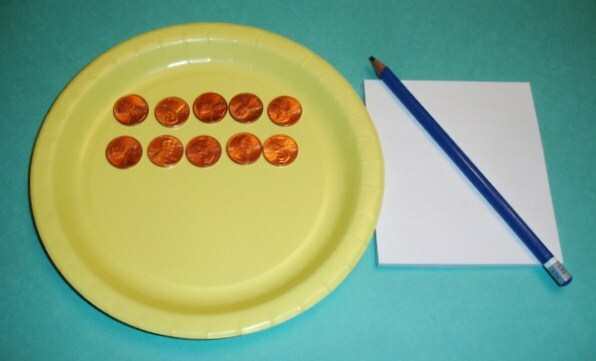 Player 1 has to calculate the number of pennies under the plate. If correct Player 1 gets one point. Players continue taking turns and tallying their points. The first player to get 10 points is the winner. Choose different sums (totals) to play the game with depending on the ages and abilities of the students. The Book Earth Day - Hooray! by Stuart J. Murphy (a visual learning specialist) does a great job of explaining and visualizing place value for kids age 7 and up. 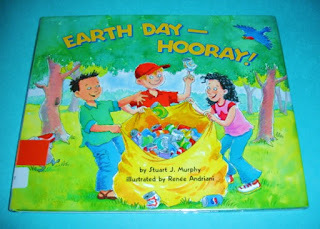 The book also has a strong message about recycling and teaches kids that they can help save the Earth. 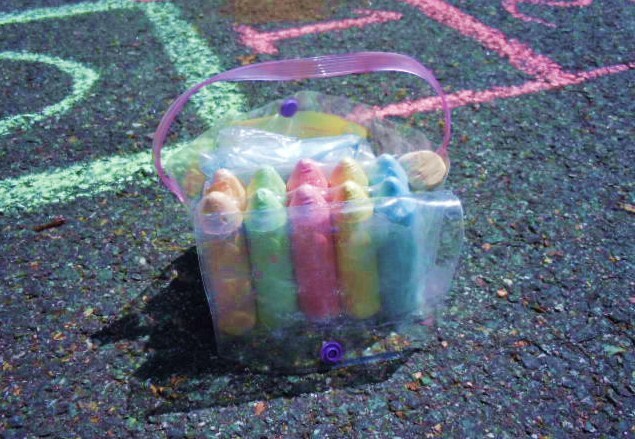 In the story, the children collect and recycle cans to buy and plant flowers for the neighborhood park. Also included in the back of the book are lots of ideas for helping children have fun with and understand the math concept of place value. 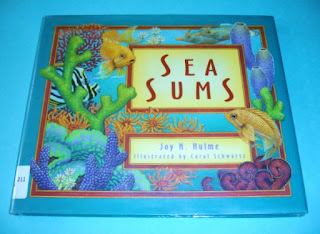 Sea Sums by Joy N. Hulme is an introduction to an ocean coral reef. The book could be used as a supplement to a science unit on ocean animals or as a supplement to a math unit on counting and basic addition and subtraction. The book introduces lots of common and uncommon ocean animals to the reader in a rhyming text. Readers will be introduced to a giant clamshell, crabs, spiny urchins, sponges, lionfish, etc. The age level is Kindergarten to Grade 2 (ages 5-8). 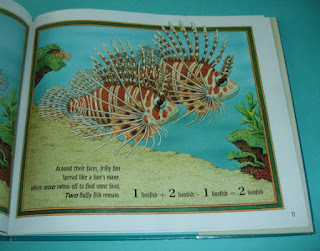 If you read this book with the kids and would like to follow-up with a craft activity, here are some suggestions from previous posts. Just click on the links below. 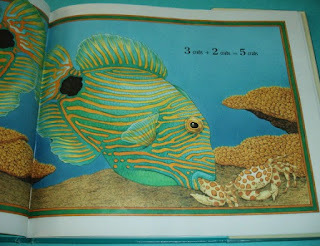 Have fun learning about ocean animals! Do your children/students like to play Tic Tac Toe? 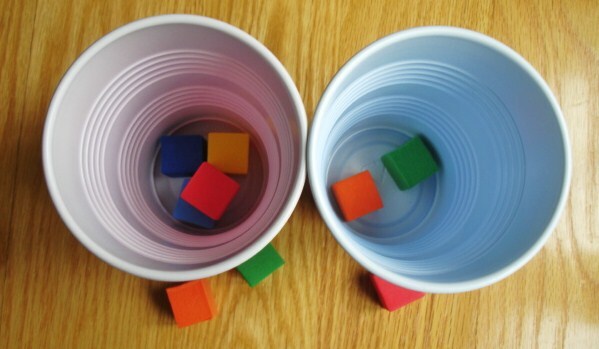 Here's a fun way for them to play the game and have a math review of ODD and EVEN numbers. Materials needed: pencil and paper. 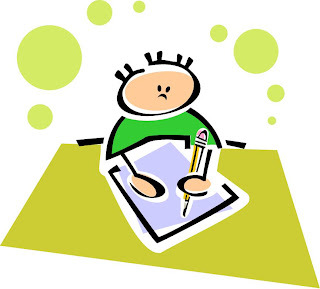 Directions: Instead of using Xs and Os, children take turns writing numbers. One child has to only use EVEN numbers and the other child writes in only ODD numbers. Each number may only be used once. As in the traditional game, the first person to get 3 in a row horizontally, vertically, or diagonally wins! Math Vocabulary: odd, even, horizontal, vertical, diagonal. Use number manipulatives (instead of writing numbers with a pencil). Use number manipulatives and a Tic Tac Toe Board instead of paper and pencil. 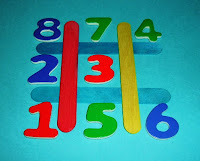 Use number manipulatives and popsicle sticks. Play the game with Prime and Composite Numbers instead of Even and Odd Numbers. Have fun with Tic Tac Toe (Odd and Even Version)! Kids love to play Hopscotch! 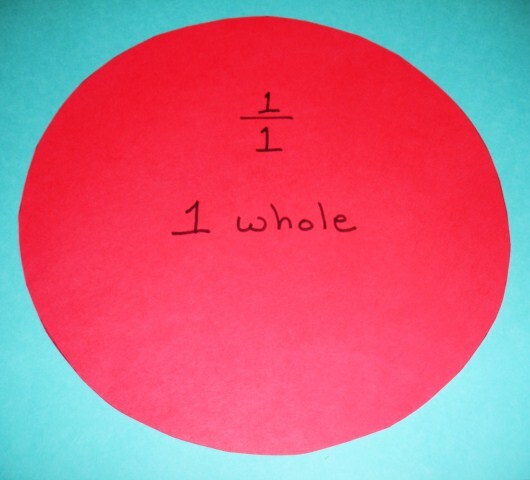 Here's a simple way to turn it into a fun math lesson. Shhhhh! Don't tell the kids it's a math lesson! 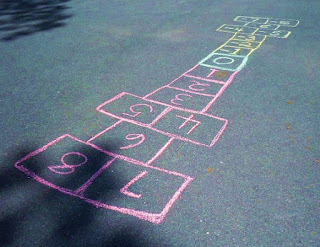 It's just a NEW Hopscotch Game ..... Great for outdoors ... Great for summer! 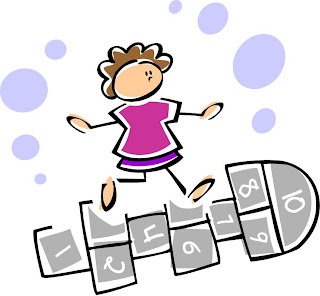 First play Hopscotch the usual way then suggest making The Hopscotch showing the numbers Less Than Zero. Add in Zero and the Negative Numbers to your Hopscotch. Now the kids can have TWICE the FUN and learn some new vocabulary!!! Take turns playing with the Positive Numbers, then play with the Negative Numbers. 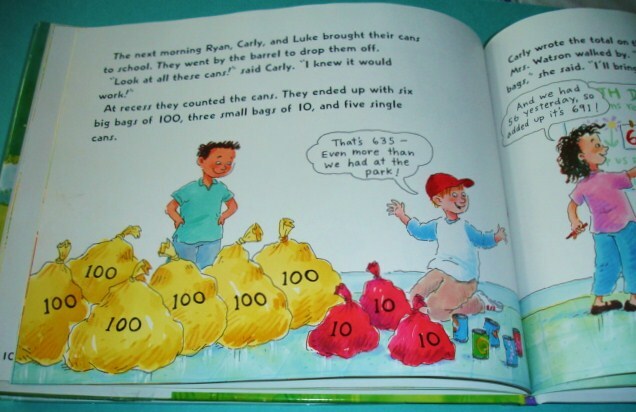 In an earlier post, I wrote about a really cute book that teaches young kids about positive and negative numbers, you can read that post here. I wanted to make some Greater Than and Less Than signs to use with the DIY Fraction Pieces that I blogged about a couple of days ago. 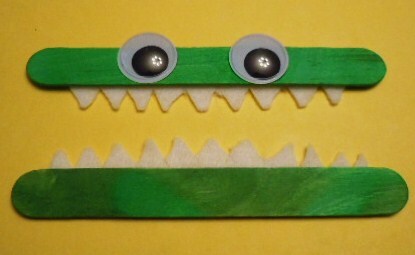 Here is one way to make these math signs with simple, inexpensive supplies. 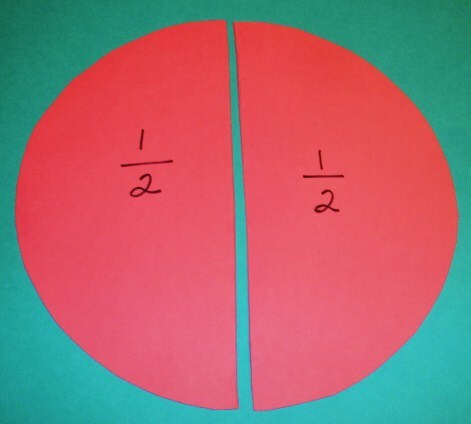 And of course, we need an equal sign to learn about equivalent fractions! The DIY math signs are real easy to make. 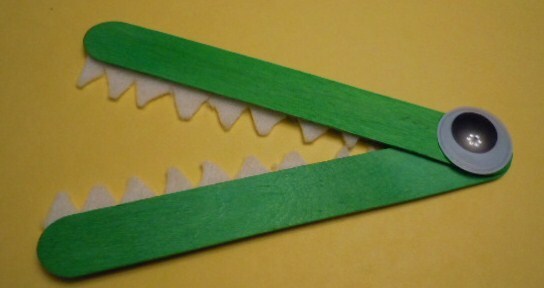 All you need is some popsicle sticks (mine were already painted), google eyes, glue, and white paper or felt plus a scissors to cut the teeth. Even if you don't make the fraction pieces, you can still use the math signs (greater than, less than, and equals) with numbers and objects. 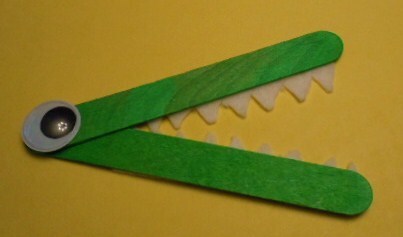 So an alligator in math class can make math fun! 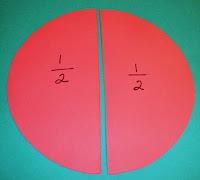 To view the DIY Fraction Math Manipulatives Blog Post click here. 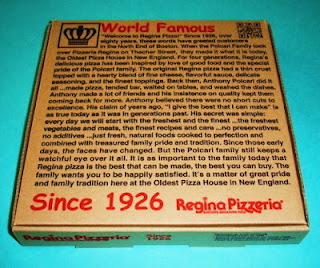 I was recently nominated for 2012 Most Fascinating Blog Award in the Elementary Teacher Blog Category! Voting is open until May 21. 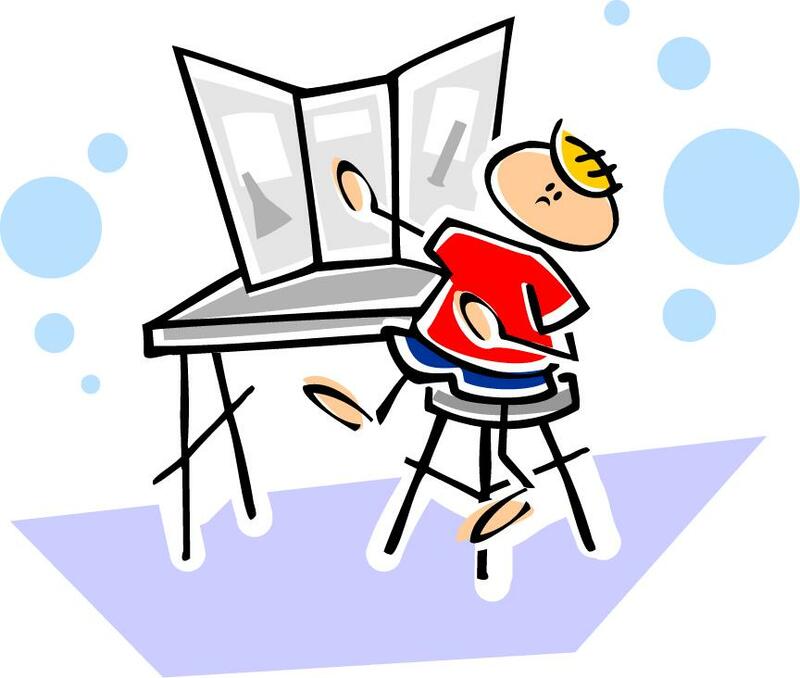 If you have a couple of minutes and feel that Learning Ideas-Grades K-8 is a teaching blog worth voting for I would appreciate a vote. To vote click the above picture. 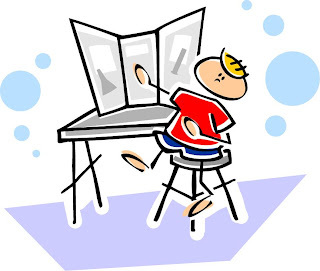 Click on the "CLICK HERE"
You will need to click on the "159 comments" to see the blogs nominated. All you have to do is to G+ me. Are you teaching about FRACTIONS or about to start a unit on fractions? 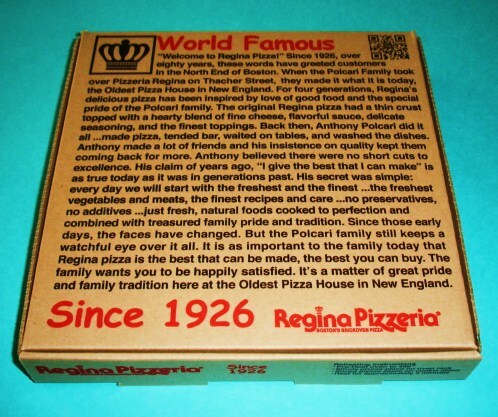 The next time you pick up a pizza, ask your pizza shop for an extra small (clean) box. 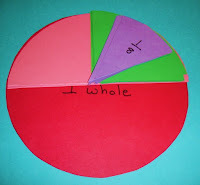 It's a great place to store your fraction manipulatives (which are very easy to make)! 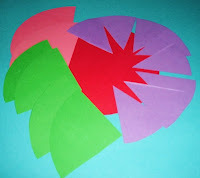 To make the manipulatives all you need to do is make large circles on cardboard, card stock, or construction paper. Felt also works great. You can use a compass or trace a plate (easier). 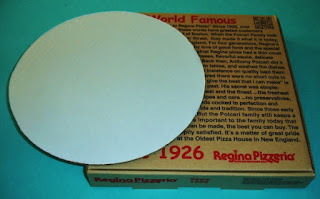 I was lucky to find a large cardboard circle inside my pizza box! Next choose the fractions you want to work on. The easiest to make are halves, fourths, and eighths. I just folded a circle in half, another in fourths, and another in eighths. Then I cut out the pieces. I still need to make thirds and sixths. Label the fractions and you are done! There are lots of different activities that students can do with their fraction pieces. In an effort to make my blog more user friendly, I have added a New Page called FREEBIES. You can find the BUTTON to the NEW PAGE at the TOP of my Blog. There are lots of FREEBIES in my different blog posts but it would take a lot of time to find them all! It is my hope that this new page will direct you to my FREE items quicker. Let me know what you think! The freebies span from PreK - Grade 8! You can find coloring pages for the little ones and Science Fair Directions for the older kids! I hope the items are useful for you and can save you some time. You can also go to the new Freebies page with this link below. BIG TpT SALE ends today!